PT Garuda Maintenance Facility Aero Asia - GMFAA or more popularly called "PT GMF AeroAsia" is a directly-owned subsidiary company of state-owner airline PT Garuda Indonesia (Persero) Tbk (Garuda Indonesia Group) that is involved in Maintenance, Repair and Overhaul (MRO) industry. PT GMF Aero Asia has its business activities focused in line maintenance, base maintenance, component maintenance, engineering services, material services, learning center, SBU GMF Enginee Maintenance, and SBU GMF Power Services. Headquartered in Jakarta, PT GMF Aero Asia runs its business through 8 production units, 18 local representative offices and 3 international representative offices. In term of financial performance, PT Garuda Maintenance Facility Aero Asia showed a strong performance in 2015. 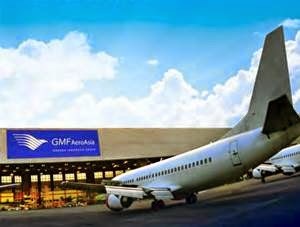 PT GMF AeroAsia recorded a growth of 15.73% in total operating revenue amounted to US$ 305.59 millions over the previous year (US$ 264.04 millions in 2014). PT GMF Aero Asia posted US$ 36.18 millions in net income for the full year of 2015, an 99.25%% increase from US$ 18.16 millions in the same period of last year (2014), according to PT Garuda Indonesia (Persero) Tbk Annual Report 2015 as cited by JobsCDC.com. Background in Bachelor Degree (S1) in Engineering (Mechanical or Electrical). Min TOEFL score 475 or min TOEIC score 500. Male or Female, not older than 26 years of age. JobsCDC.com now available on android device. Download now on Google Play here. Please be aware of recruitment fraud. The entire stage of this selection process is free of charge. PT Garuda Maintenance Facility Aero Asia - Fresh Graduate Engineer Garuda Indonesia Group August 2016 will never ask for fees or upfront payments for any purposes during the recruitment process such as transportation and accommodation.